Wicked Buhari’ sent his people to kill Benue indigenes, As Was ”Quoted” On The Latest Publish Video Of Alhaji Asari Dokubo, A former Niger Delta militant leader, has alleged that President Muhammadu Buhari sent his Fulani brothers to kill natives of Benue State. He said, “When evil reigns, there is darkness everywhere. People are sad. But when we bring evil upon ourselves who are we to be blamed. In a video shared on his Facebook page https://www.facebook.com/306509392827347/videos/1193747270770217/ , Dokubo alleged that Benue leaders were behind the ongoing pogrom in the land. 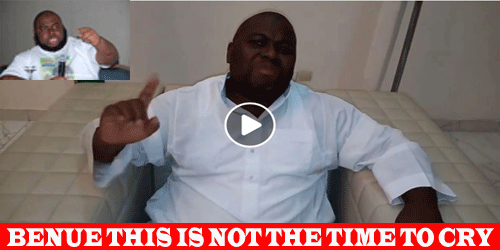 3 responses on "BENUE THIS IS NOT THE TIME TO CRY- Asari Dokubo, VIDEO"
Good message to the people of Benue, it is time for you to rise up and take your destiny in your hand. Be STRONG and the LORD will fight for you.